Minister for International Trade, Greg Hands, and UK Trade Envoy to Taiwan, Lord Faulkner, attended the launch of a vital new trade link from the UK to the Far East today - when the UK’s only direct flight to Taipei left Gatwick for the first time. 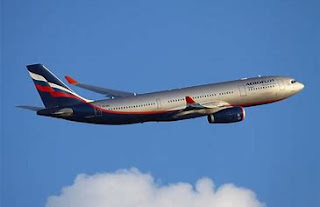 The majority of UK airfreight is exported in the hold of long-haul passenger aircraft and this four times a week China airlines service will provide both UK and Taiwanese businesses with the fastest access to both markets, in addition to carrying business and leisure passengers. According to the UK Government, approximately 300 UK companies are currently located in Taiwan in financial and business services, ICT, telecommunications, infrastructure, environmental technology, creative industries and marine industries, with around 180 Taiwanese companies currently based in the UK. The UK is seen by Taiwan as a world leader in the creative industries, and cultural and educational links are growing with approximately 30% of all Taiwanese who study overseas - around 8000 students - doing so in the UK. Taiwanese tourism to the UK has also risen sharply since the lifting of the visa regime for visits of under 6 months in 2009. The China Airlines service is the latest in Gatwick’s flourishing 60+ strong network – the world’s largest for a single runway airport – and one that will soon be followed by new services to Buenos Aires, Chicago and Austin in the New Year. 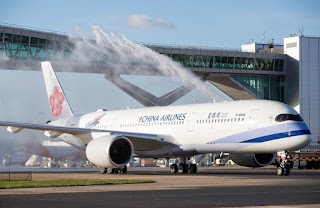 “We welcome China Airlines to Gatwick for the launch of this new service that will provide a vital link between the UK and Taiwan at a critical time in our economic history. The new route will boost trade between our two enterprising economies and help our businesses to get goods to market as quickly and efficiently as possible.